Chahal was born on 23rd July 1990 in Jind, Haryana and plays for Indian national side and for Haryana in domestic leagues. He is also a former chess player and has represented India in chess at various levels internationally. In fact, he was part of the Under-16 Indian chess team and has represented India in chess along with cricket. He is the only player to have represented the nation in both the sports. Yuzvendra Chahal (in 2019) along with Ajantha Mendis (in 2003-04), are the only two players in the history to have taken a 6 wicket haul in the T20I. 2017 ended pretty well for Chahal as he was the leading wicket-taker taking 23 wickets in 11 matches in the world. When it comes to bowling and baffling batsmen, Chahal likes to lure batsmen with his throw hence also called leg break bowler. He came into the limelight during the IPL 2011, when he helped MI win the IPL title against RCB with 2 wickets for 9 runs in 3 overs. He was later picked up by the RCB in IPL 2014. He also went onto win the Man of the Match award against Delhi Daredevils in the 2014 edition of IPL. As of IPL 2019, he is currently playing for Royal Challengers Bangalore, after he represented Mumbai Indians for three years. He became the first Indian player to take 5 wickets against England in the T20I and gradually reached the figures of 6/25 in 4 overs in 2017. He finished with 3 wickets and scored 25 runs helping India win against Zimbabwe and won the Man of the Match award in his second ODI. 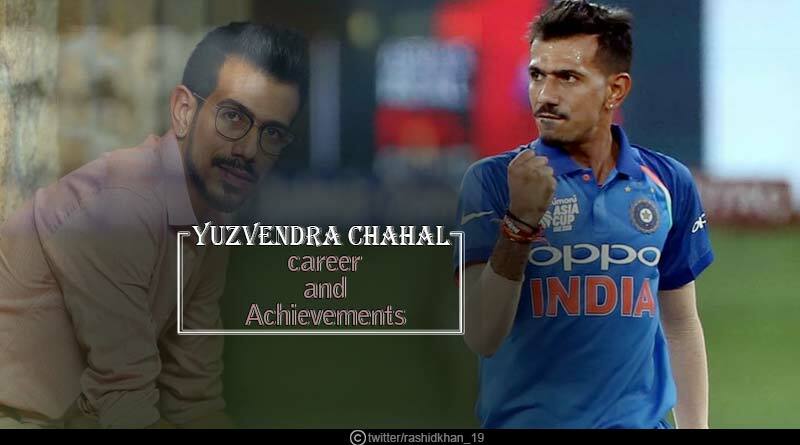 For more articles like ‘Yuzvendra Chahal career and achievements’, do follow us on Facebook, Twitter, and Instagram.